The deal: Whole Foods does some great stuff. Their salad bars are top-notch. They’ve got the most non-dairy milks out of any major retailer, and they’re a great place to pick up the ladies. 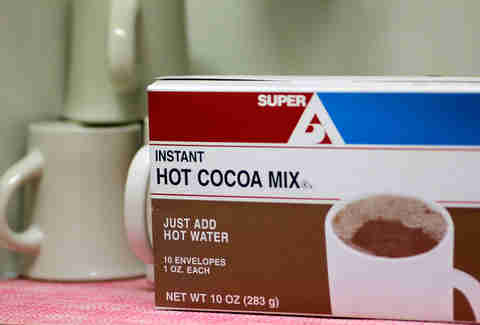 But they didn’t do so well with hot chocolate, unfortunately. Most tasters described their mix as bitter and gray, which might have something to do with the fact that it uses “organic cane syrup solids” instead of sugar. 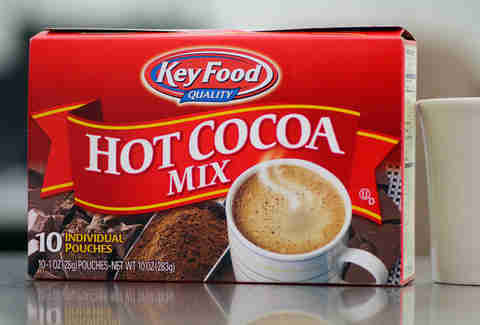 It might be good if you’ve got a developed chocolate mix palate, but most peeps couldn’t quite get into it. The deal: This is one of those generic store brands, and it ended up being better than major chain Whole Foods’ attempt, but not by much. For the most part, it was called bland and watered-down, but even that was preferable over the bitterness of 365 Organic. Both, however, were in dire need of some whipped cream or marshmallows on top. The deal: For a company that deals in some of the most heavily eaten chocolate products in the world, Nestle’s hot chocolate mix was decidedly middle of the road. 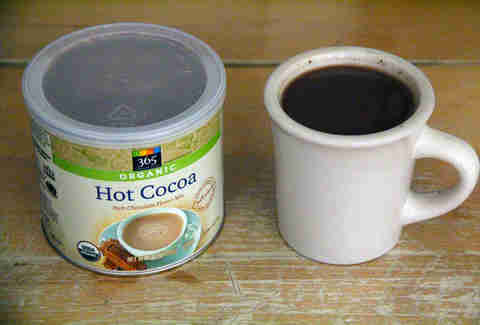 Creamy and mellow, it didn’t necessarily wow our tasters in the flavor department (it was described as being kind of chocolate pudding-y), but it certainly looked the part of hot chocolate. It was praised for its decidedly authentic-looking creaminess, even if the taste didn’t quite match up. The deal: So it’s true. 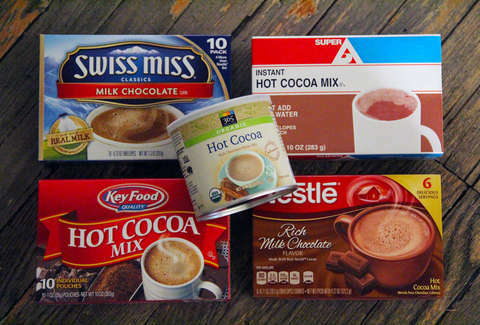 Swiss Miss does make the best powdered hot chocolate mix out there, or at least as chosen by our panel of blind taste-testers. 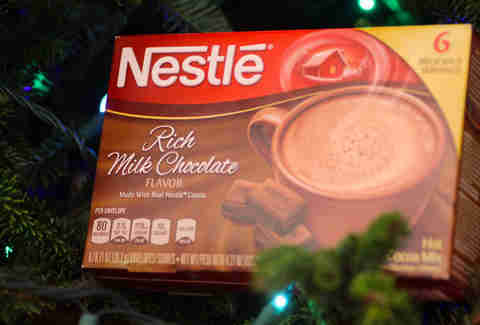 That isn’t to say that it wasn’t thoroughly challenged -- Nestle and Key Food put up a damn good fight, and came within swinging distance of everyone’s favorite politically neutral chocolatier. 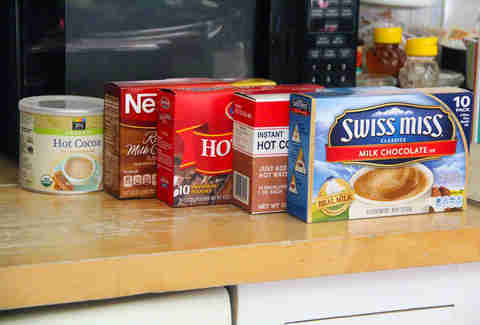 It was called the creamiest of the bunch, with proper “chocolate lacing” and a natural-tasting nuttiness... and all of this despite the fact that they were all made with hot water rather than milk. 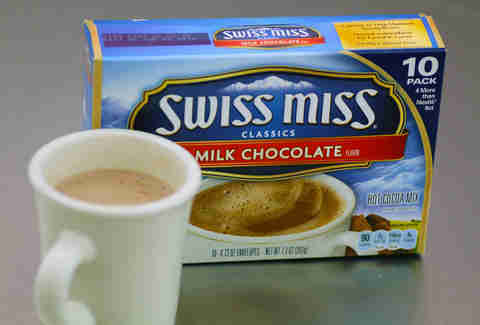 Good on you, Swiss Miss! Adam Lapetina is a Food/Drink staff writer for Thrillist, and wonders if there’s a Swiss Mister. Read his musings at @adamlapetina.